Our thanks to Dr. Alvin Danenberg for letting us crosspost this piece from his blog. View the original here. You may think you know all about tooth fairies. You know that they discreetly appear at night to sneak away your child’s baby tooth, which is hidden under his or her pillow. You also know that tooth fairies exchange the tooth for little trinkets. These little pixies flutter about with their cute big eyes, their huge smiles, and their soft silky wings. But what you probably don’t know is that these precious little busy bees have been around for a long time. As a matter of fact, they have been around for thousands of years. These tooth fairies knew of a time when little boys and little girls hardly ever got tooth decay. In those days, mommies and daddies worked hard gathering and hunting food. The children ate all the good, nutritious foods that their parents brought to the table. Bodies were strong and lean, and teeth were white and straight. Adult teeth lasted a lifetime, as they were designed to do. But then, something changed. Unfortunately, the fairies didn’t realize it until much later. Starting about 10,000 years ago, certain foods were grown on farms. As years went by, some people began to change these foods. Good things were removed from these foods, and bad things were added to these foods. These “new foods” eventually became part of almost everyone’s diet. The fairies didn’t think any harm was going to come from them. But, it did. These foods started to damage the teeth of children and adults. All of a sudden, it seemed like many people started to develop toothaches and loose teeth and holes in their teeth. The fairies finally learned that something was wrong with these “new foods”. They discovered that these “new foods” – these grain products and processed sugars – were a cause of dental problems and other health problems that were beginning to harm children and adults. The fairies made a pledge to give up grain products and processed sugars and to try to tell everybody that these were not healthy foods. Before these “new foods” came into the picture, children ate very healthy. 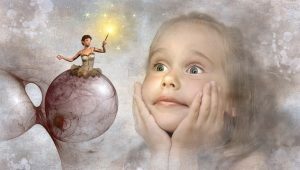 So, the fairies became focused on a new mission – to tell the world that unhealthy grain products and unhealthy sugars needed to be avoided in order to regain dental health and overall health. You see, our bodies were never designed to eat these modern-day foods. These foods irritated our guts and eventually upset our bodies. It took a long time for the fairies to grasp that so many other diseases were caused by these “new foods”. So, the fairies gave up grain products and processed sugars and started to teach the world to be a healthier place. Most importantly, the fairies wanted to teach better eating choices to the children, whom they were meant to protect. Parents can create healthy meals for their children. To that end, parents need to consider removing unhealthy grain products and processed sugars from meals and replacing them with healthier choices. Choose healthy varieties of meats, fish, eggs, and fats from animals that have been raised humanely in their natural environments. It is important to include leafy green vegetables at every meal. Over 50% of every “plate of food” should consist of non-starchy vegetables of all colors. You could add in some fruit or a starchy root vegetable or a few nuts and seeds. The foods hunter-gatherers ate for thousands and thousands of years are the foods that will allow healthy bodies of all ages to survive and thrive today. These food choices are part of a Primal (or Paleo-type) Lifestyle. Here are two tables I created. One provides substitutes for unhealthy grain products, and the other provides substitutes for unhealthy sugar products. The recipes I have created and published on my website are nutrient-dense foods that are healthy and delicious. I invite you to explore some of them.